Three Computer Science majors from Birzeit University - Juaman Sa’d, Tasneem Jamjoum, and Du’a Assaf - designed and developed a video game that simulates life in the Old City of Jerusalem. The video game displays, in a remarkably realistic fashion, the mores and praxis of the city and the Arab heritage of the food, desserts, and traditional fashion displayed therein. “We created the game to showcase Jerusalem as Palestine’s capital and one of the holiest cities in the world. Our dream is for ‘Heaven’s Gate’ to be the first interactive title that presents Jerusalem to tourists and those who can’t make it to the city,” said Sa’d. The three-dimensional, interactive video game gives the player a chance to roam the streets of the Old City and highlights Israeli violations against inhabitants of the city. Dr. Nawahdah noted that “Heaven’s Gate” is the result of a new concentration established in the Department of Computer Science that intends to develop meaningful, entertaining video games with an educational aim. “The nascent video game market in Palestine has a bright future and provides the opportunity to develop something really special,” he added. “The video game aims to present Jerusalem from an Arab perspective, in light of all the attempts at Judaization that the city has been going through. We’ve decided to help Jerusalem and the Palestinian cause by doing what we do best; utilizing technology to create meaningful products,” said Dr. Nawahdah. The video game, which is currently under development, serves an economic role as well, said Dr. Nawahdah, by shining a spotlight on the stores and shops of the Old City. 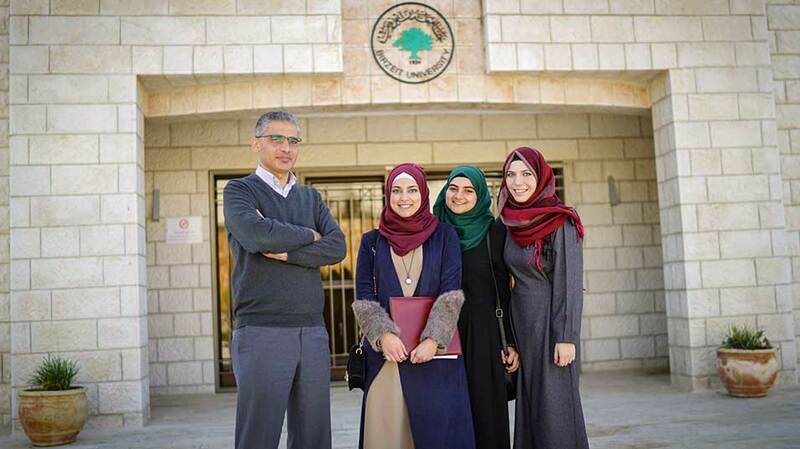 “Heaven’s Gate” has claimed the first spot in a Birzeit University initiative which supported four entrepreneurial projects. The video game was the only project submitted by the Faculty of Engineering and Technology and received the approval of 7 judges. The initiative awarded “Heaven’s Gate” with $25,000 to establish a startup to develop and released the video game.